Posted 6:07 pm, Mar. 19, 2019. For Hu, companies like Uber and Netflix offer a window into the future of service-oriented business models by responding to customer preferences and needs in real-time. “Netflix uses customer data to back up their next series or documentary or movie,” she says. “This all comes from learning the customer side of a service business.” Data is nothing new for Hu. In high school she would track her academic performance, documenting which mistakes she made in each subject, using the information to improve areas of weakness. 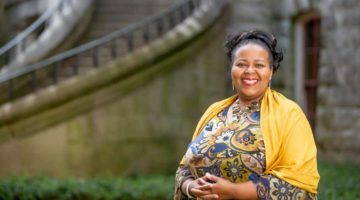 As a Ph.D. candidate she saw billion-dollar startups using similar methods to improve their own performance, which led to her current research interests. Josh White, assistant professor of finance and a former economist with the U.S. Securities and Exchange Commission, has been at the Owen School only for one full academic year, but he’s already taught students across four different degree programs: MBA, Executive MBA, Master of Science in Finance, and Master of Management in Healthcare. He also helped teach the inaugural Accelerator Finance Bootcamp to college students last summer. 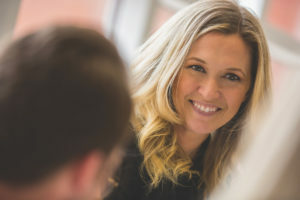 White’s students range from nurses and physicians who have no finance experience to mid-career professionals already in the field—sometimes in the same class. To accommodate such a wide range of experience, White says he thinks about the students’ goals for taking his classes as he puts together his curriculum and plans examples for each class. “When you start engaging the students, you have to figure out: Why are they here in this class? Not because we say they have to take it, but what are they hoping to get out of this class? Are they wanting a tool for their current job or something for their personal investments?” he says. 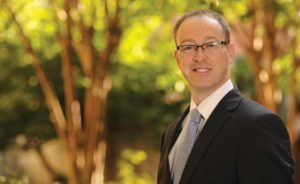 White, who taught at the University of Georgia’s Terry College of Business, often brings his SEC experience into the classroom. “I think the MBA students like when I can tell them, ‘Hey, this is what happened at the SEC,’ and share SEC stories,” he says. “It’s really informative as an instructor.” The experience also has helped inform White’s research agenda. At the SEC, White drew on transaction-level data to examine fraud in penny stocks, equities that trade over-the-counter instead of in regulated markets. That work has led to his interest in Initial Coin Offerings, or ICOs, which sell cryptocurrencies often meant to fund a company’s operations. Given the lack of regulations governing the market, he sees parallels to penny stocks. In addition to his work around investor fraud, White is working on research exploring factors that affect corporate disclosures, such as cybersecurity breaches and state-level election cycles. During the years of his Ph.D. program, he honed a research philosophy based on frequent conversations with his mother, a nurse. “If you can’t explain your work so that anyone can understand it—technical details notwithstanding—then you don’t really understand it,” he says. 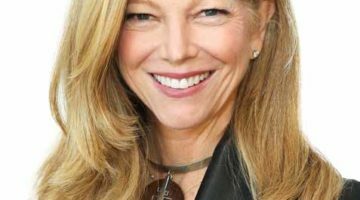 Kelly Goldsmith, an associate professor of marketing, came to Vanderbilt in 2017 after teaching at Northwestern’s Kellogg School. And if her name rings a bell, it may be because she was a contestant on Season 3 of the CBS show Survivor. Today, perhaps fittingly, Goldsmith’s research focuses on how consumers behave when faced with scarcity. But it wasn’t Goldsmith’s star turn on the reality show that sparked her interest in how humans act when forced to do without; rather, her interest grew from her experience of entering the job market amid the 2008 financial crisis. One immediate finding that emerged from her academic research was that, as marketers showed ads of consumers coming together to help one another during the recession, this reminder of scarcity actually primed audiences to think about their own self-interests instead. However, scarcity does not always lead to negative outcomes, Goldsmith says. A forthcoming paper finds that people often make better decisions when faced with scarcity versus when they have an abundance of options. One thing Goldsmith does not lack is an enthusiasm for teaching.